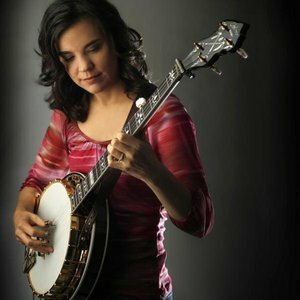 Kristin Scott Benson was named the Banjo Player of the Year by the International Bluegrass Music Assoication on October 2, 2008. Her brand new CD, released on Pinecastle Records, is called Second Season. With eight instrumentals (four of them originals) and four vocal performances, the album features her powerful banjo playing, while still appealing to fans that aren't motivated solely by instrumental prowess. Her brand new CD, released on Pinecastle Records, is called Second Season. With eight instrumentals (four of them originals) and four vocal performances, the album features her powerful banjo playing, while still appealing to fans that aren't motivated solely by instrumental prowess. The project is highly anticipated and features many of today's top bluegrass musicians, including, Wayne Benson, Cody Kilby, Jim VanCleve, Mickey Harris, Sally Jones, Larry Cordle, Josh Williams, Larry Stephenson, David Grier, Andy Todd, and Shad Cobb. Copies can be purchased at www.musicshed.com.